Top: Mike Johnson test flies the Condor 330 for low and slow towing at Rancho Murieta. Upper right: A windy day on top of the training hill! 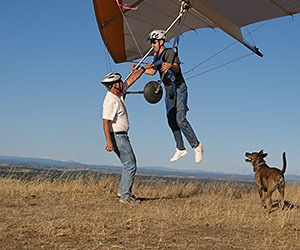 Bottom: Scott takes a flight at the training hill. 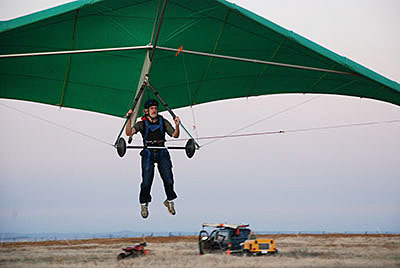 Welcome to Sacramento Hang Gliding's new website! 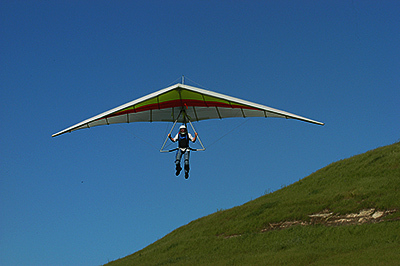 We have been teaching people to fly hang gliders since 1992. We provide professional instruction (beginning through advanced levels) at our training areas near Rancho Murieta.